The economic backdrop behind this week’s FOMC meeting is almost startlingly refreshing. The recession likely ended at some point during the summer, an occasion effectively confirmed this week by the highest authority in the land, Federal Reserve Chairman Ben Bernanke. 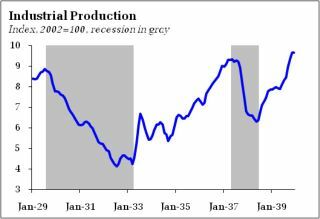 For those still in denial, industrial production posted its second consecutive gain, and there is little doubt that GDP will post a significant positive reading for the third quarter. Finally, in a seemingly impossible development, the retail sales report suggested that consumers eagerly converged onto the nation’s shopping establishments in August. The economic summary paragraph in the upcoming FOMC statement will certainly identify the positive economic developments since their last gathering. But will improving conditions be sufficient to prod the FOMC to adopt language that points in the direction of tighter policy? Almost certainly not. The exit from the recession is clearly much too tenuous – and much too dependent on fiscal and monetary life support – to allow the risk of premature policy withdrawal. Moreover, even if economy activity were on a self-sustaining upward trend, the hole we are climbing out of is so deep that it could literally be years before resources are sufficiently utilized as to allow for significant policy reversal. 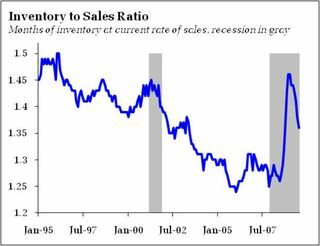 Given the steady anecdotal buzz surrounding the deterioration of the commercial real estate market, it is difficult to expect a rapid reversal of these trends. 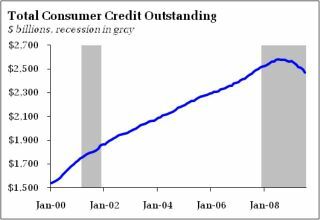 In short, if you think credit markets are still under stress, as the Fed certainly does, and are worried about the availability of credit to support future spending, also among Fed concerns, then shifting rhetorically to signal a tighter policy stance irrational. Moreover, it would seem inconsistent with plans to continue expanding the balance sheet via purchases of mortgage backed securities and TALF assets. “At the business trough in 1933,” Mr. Darda points out, “the unemployment rate stood at 25% (if there had been a ‘U6’ version of labor underutilization then, it likely would have been about 44% vs. 16.8% today. . . ). At the same time, the consumption share of GDP was above 80% in 1933 and the household savings rate was negative. Yet, in the four years that followed, the economy expanded at a 9.5% annual average rate while the unemployment rate dropped 10.6 percentage points.” Not even this mighty leap restored the 27% of 1929 GNP that the Depression had devoured. But the economy’s lurch to the upside in the politically inhospitable mid-1930s should serve to blunt the force of the line of argument that the 2009-10 recovery is doomed because private enterprise is no longer practiced in the 50 states. And – critically for divining the path of policy – the growth in the 1933-1937 period was not sufficient to allow for policy tightening, as evidenced from the 1937 recession. One does not have to deny that the recession is over – and can even expect nontrivial growth – while still expecting a sufficiently weak outcome that prevents a significant reversal of the Fed’s monetary stance. Or further fiscal stimulus, for that matter. Which is to say that those who see rapid growth as a reason for an imminent Fed reversal are looking in the wrong direction. Even rapid growth could leave the Fed on the sidelines for much, much longer than many anticipate – and they know it. Bernanke has schooled policymakers well on the lasting damage that typically follows the collapse of a debt-driven bubble. Bottom Line: Economic activity is clearly on the upswing – but the durability and sustainability of the recovery remains in doubt. The FOMC statement will certainly take notice of strengthening economic data. But a resumption of growth is not the only issue that factors into policymaking. 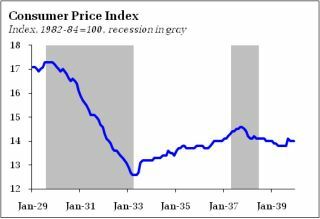 At this juncture, the focus to resource utilization – how long will persistently weak labor marks sustain downward pressure on wages and thus make a wage-price inflation spiral simply unattainable? For now, a seemingly long period of time. 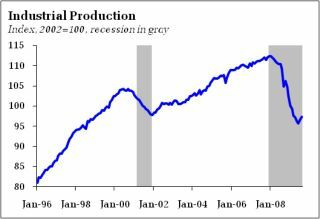 Indeed, I find it virtually impossible that Fed officials will dare shift from “sure, we can withdraw stimulus when needed” to “it is not necessary to aggressively withdraw stimulus” until the unemployment rate begins a sustained march downward. And for now, we are still waiting for the upward march to end.